We believe in creating value for our clients by building capacity and passing on knowledge and expertise. In that way, we will help them to realise their potential and fulfill their goals/objectives. Client meetings to understand their needs. Access to the best possible expertise and solutions through our global network. 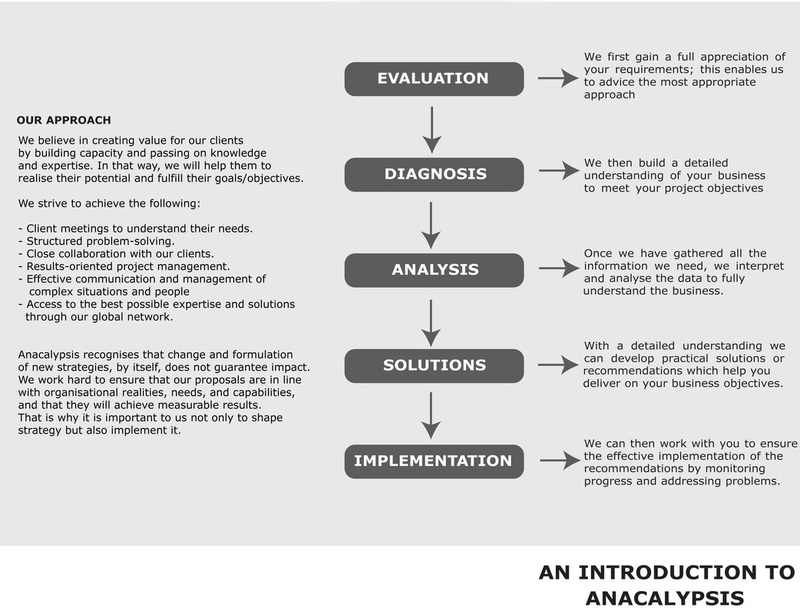 Anacalypsis recognises that change and formulation of new strategies, by itself, does not guarantee impact. We work hard to ensure that our proposals are in line with organisational realities, needs, and capabilities, and that they will achieve measurable results. That is why it is important to us not only to shape strategy but also implement it.